For your convenience, PayPal.com handle payments collection. Online ordering is fast, easy and secure. You can change license quantity in the PayPal order form. 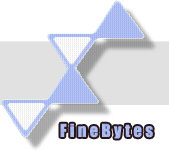 If you require a site license with more then 10 seats, an educational license or an upgrade license, please contact orders@finebytes.com. If you require an upgrade license, please refer to our automated upgrade page to check if you qualify for an upgrade license and then proceed to the upgrade license purchase. After your order is complete, you will be redirected to an activation page in which you can retrieve your license code for Magic File Renamer immediately. Note: Instant confirmation is not yet available for BitCoin payments. Activation code to be received by email up to 2 business days after BitCoin payment is confirmed. See also License Types, Pricing and FAQs.